You put the tablets and other devices, into the hands of kids to accelerate learning. But were you ready for protecting and managing these devices? Staymobile is here to partner with you. With over 200+ K-12 schools currently serviced, Staymobile has the expertise and the industry-leading services like a lifetime guarantee, like new parts, pick-up-delivery, and our superiorly certified technicians. With a robust focus on continuous improvement and operational excellence, Staymobile will pick up and deliver your devices, provide protection plans that save your school money, and work to drive productivity and satisfaction at your school. We understand your investment in technology provides students the freedom to learn inside, and outside the global classroom. Protecting that investment is a priority for Staymobile. 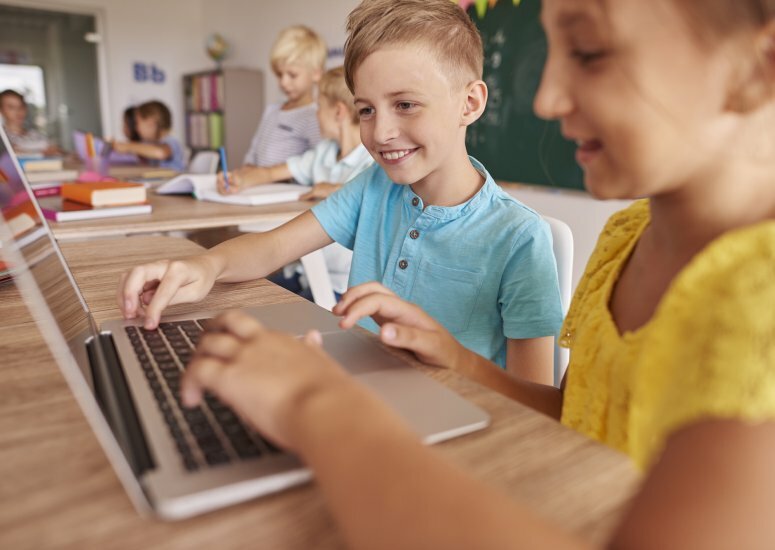 With over 2 million devices under protection, maintenance, and repair services, Staymobile understands the responsibility to keep student devices running at optimal performance at all times, and not in a state of repair. Regardless of your school or district size, we offer a variety of solutions to protect and maintain your investment, while saving unnecessary expenses and time. Staymobile, and specifically Nathan Voisine, have been wonderful to work with in our school system. They have been fixing our iPads for over a year now, they have been very quick to respond to our requests and have always been willing to work within our system specifications. I would recommend their service highly. Carroll County Schools has been very pleased with the support we receive from Staymobile. The fact they are willing to visit our schools, pick up our broken devices and return them repaired places them in a league of their own. The time, energy and money we save with Staymobile allows our department to focus on the vital aspects of technology that keep teaching and learning going at a high level. Staymobile has been a wonderful resource, this school year, as Charles Ellis Montessori began its 1:1 Initiative with our seventh and eighth grade students. Staymobile attended meetings at the beginning of the year to inform our families about the insurance that was provided with our devices and helped clear up questions. Staymobile also has been attentive to our repair needs, always being timely and professional in their pick up and delivery. We have appreciated this service and attention!